Well, thanks for reminding me again, dear Petrolicious. The deal is simple. I have an old car. An old car I’ll have to tune up and spend a lot of money on very soon, because it can’t stay broken, and that’s the way it makes sense to move forward. Said car will not worth more from that investment, only go a bit faster, hopefully. I don’t have a garage, so it’s not like I can just buy another car and put it away to safety until I’m ready for it. Having said that, I barely need a single car to start with. 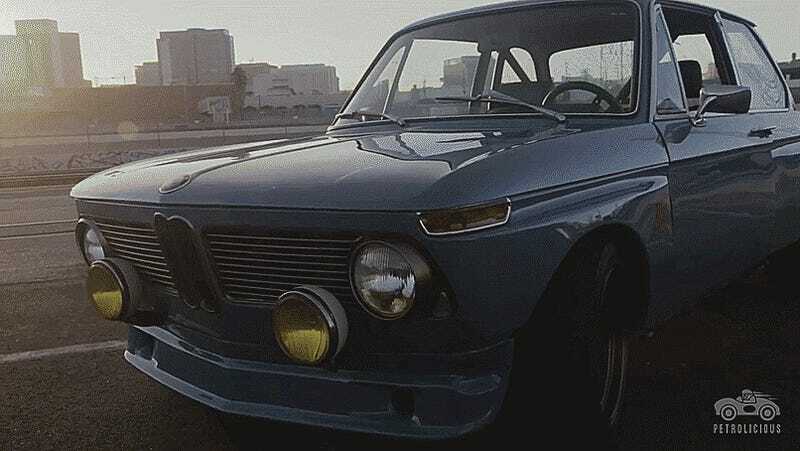 Still, I would get myself a nice BMW 2002, I really would. The problem is that there are only a few around, and those got ridiculously expensive by now. Europe pretty much ran out of these cars, thanks to those salty winter roads and that thing all around we call humidity. I could never afford a decent example, and buying a piece of junk would only mean I spend even more in the long run. You have to put go-fast parts in a New Class anyway, and that’s expensive enough without a complete restoration. From where I’m standing, this whole old BMW fantasy seems hopeless. Well, at least the Autobianchi will get angrier. That’s a good design too.